CM750 Creatine Caps -------------------------------------------------------------------------------- • Easy and Convenient • Take Anytime - Anywhere • Increase Muscle Cell Volume • Increase Muscle Strength • Increase Muscle Endurance The Power of Micronized Creatine in a Convenient, Easy to Swallow Capsule Micronized Creatine is a powerful muscle building supplement. As you know, it's usually taken in powder form mixed into water or a flavored drink but you don't always have time to mix a drink. Even if it takes you just 5 minutes, when you are busy and on the go those 5 minutes may be impossible to spare. And as good and effective as Micronized Creatine is, it will not do you a bit of good if you don't take it. And if you miss a dose every now and then you're zapping Micronized Creatine's ability to fuel muscle growth and strength. How many times have you skipped a scheduled dose of creatine because time just slipped away? Now you have the power of Micronized Creatine in a convenient capsule so you can take them anywhere at any time with no mixing and no mess. Just pop a few capsules and you're good to go. The Micronized Creatine can go to work igniting muscle growth. "AST Sports Science 'Micronized Creatine' Delivers More Creatine to Your Muscles Faster!" New "Micronized" Creatine Capsules . . . With AST's constant commitment to improve the effectiveness of sports supplementation, we have developed a new creatine supplement that incorporates state-of-the-art Particle Micronizing Technology (PMT™) and produced it in a convenient - take anywhere, take anytime capsule. This PMT™ technology sets a new standard for creatine monohydrate supplementation by actually producing creatine 'micro-particles' that are 20 times smaller than regular creatine powder. And putting it in an easy to swallow capsule ensures you can have your muscle-building creatine even at the most inconvenient times. Micronized Creatine Capsules have numerous advantages over regular creatine monohydrate. Faster Absorption . 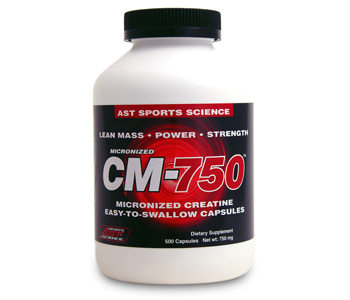 . . AST Micronized Creatine's smaller particle size means quicker digestion and faster utilization. More Efficient . 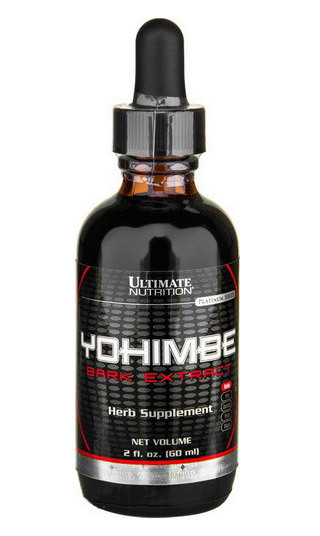 . . 20 times more total surface area for greater uptake into the bloodstream and rapid delivery to muscle tissue. Greater Purity . 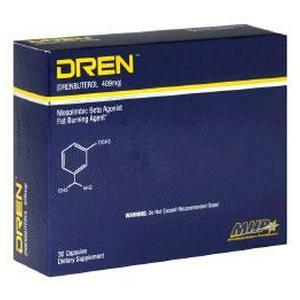 . . Micronizing creatine produces a more pure creatine. By increasing the total processing steps and purification procedures, AST's Micronized Creatine yields a finished product substantially more pure. Test it. We challenge you. No Stomach Upset . . . Regular creatine monohydrate sits in the gut longer. This causes discomfort to many users. AST's Micronized Creatine leaves the gut quicker causing no stomach upset. Better Results . . . New Micronized Creatine offers 2000% more particle surface area for better utilization, better uptake, and faster results. Drink Plenty of Liquids! 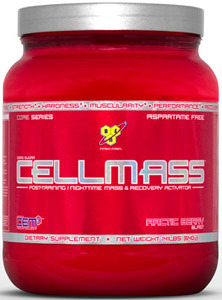 Creatine works by enhancing muscle cell hydration. It is very important to consume adequate fluids while taking creatine to see best results. A good rule of thumb is to drink an EXTRA 16 to 20 ounces of liquid for every 5 grams of creatine you take. During your Loading Phase you should be drinking an EXTRA 64 to 80 ounces of liquid than you normally drink. During the maintenance phase you should drink an EXTRA 32 to 40 ounces. This is very important and ensures you get the maximum out of creatine supplementation. More Information The Power of Micronized Creatine in a Convenient, Easy to Swallow Capsule Micronized Creatine is a powerful muscle building supplement. As you know, it's usually taken in powder form mixed into water or a flavored drink but you don't always have time to mix a drink. Even if it takes you just 5 minutes, when you are busy and on the go those 5 minutes may be impossible to spare. And as good and effective as Micronized Creatine is, it will not do you a bit of good if you don't take it. And if you miss a dose every now and then you're zapping Micronized Creatine's ability to fuel muscle growth and strength. How many times have you skipped a scheduled dose of creatine because time just slipped away? Now you have the power of Micronized Creatine in a convenient capsule so you can take them anywhere at any time with no mixing and no mess. Just pop a few capsules and you're good to go. The Micronized Creatine can go to work igniting muscle growth. "AST Sports Science 'Micronized Creatine' Delivers More Creatine to Your Muscles Faster!" New "Micronized" Creatine Capsules . . . With AST's constant commitment to improve the effectiveness of sports supplementation, we have developed a new creatine supplement that incorporates state-of-the-art Particle Micronizing Technology (PMT™) and produced it in a convenient - take anywhere, take anytime capsule. This PMT™ technology sets a new standard for creatine monohydrate supplementation by actually producing creatine 'micro-particles' that are 20 times smaller than regular creatine powder. And putting it in an easy to swallow capsule ensures you can have your muscle-building creatine even at the most inconvenient times. Micronized Creatine Capsules have numerous advantages over regular creatine monohydrate. Faster Absorption . . . AST Micronized Creatine's smaller particle size means quicker digestion and faster utilization. More Efficient . . . 20 times more total surface area for greater uptake into the bloodstream and rapid delivery to muscle tissue. Greater Purity . . . Micronizing creatine produces a more pure creatine. By increasing the total processing steps and purification procedures, AST's Micronized Creatine yields a finished product substantially more pure. Test it. We challenge you. No Stomach Upset . . . Regular creatine monohydrate sits in the gut longer. This causes discomfort to many users. AST's Micronized Creatine leaves the gut quicker causing no stomach upset. Better Results . . . New Micronized Creatine offers 2000% more particle surface area for better utilization, better uptake, and faster results. Drink Plenty of Liquids! 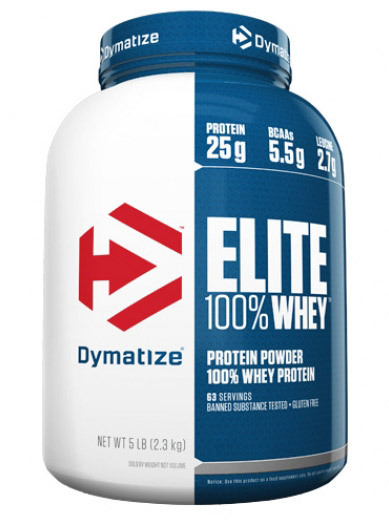 Creatine works by enhancing muscle cell hydration. It is very important to consume adequate fluids while taking creatine to see best results. A good rule of thumb is to drink an EXTRA 16 to 20 ounces of liquid for every 5 grams of creatine you take. During your Loading Phase you should be drinking an EXTRA 64 to 80 ounces of liquid than you normally drink. During the maintenance phase you should drink an EXTRA 32 to 40 ounces. This is very important and ensures you get the maximum out of creatine supplementation. More Information The Power of Micronized Creatine in a Convenient, Easy to Swallow Capsule Micronized Creatine is a powerful muscle building supplement. As you know, it's usually taken in powder form mixed into water or a flavored drink but you don't always have time to mix a drink. Even if it takes you just 5 minutes, when you are busy and on the go those 5 minutes may be impossible to spare. And as good and effective as Micronized Creatine is, it will not do you a bit of good if you don't take it. And if you miss a dose every now and then you're zapping Micronized Creatine's ability to fuel muscle growth and strength. How many times have you skipped a scheduled dose of creatine because time just slipped away? Now you have the power of Micronized Creatine in a convenient capsule so you can take them anywhere at any time with no mixing and no mess. Just pop a few capsules and you're good to go. The Micronized Creatine can go to work igniting muscle growth. "AST Sports Science 'Micronized Creatine' Delivers More Creatine to Your Muscles Faster!" New "Micronized" Creatine Capsules . . . With AST's constant commitment to improve the effectiveness of sports supplementation, we have developed a new creatine supplement that incorporates state-of-the-art Particle Micronizing Technology (PMT™) and produced it in a convenient - take anywhere, take anytime capsule. This PMT™ technology sets a new standard for creatine monohydrate supplementation by actually producing creatine 'micro-particles' that are 20 times smaller than regular creatine powder. And putting it in an easy to swallow capsule ensures you can have your muscle-building creatine even at the most inconvenient times. Micronized Creatine Capsules have numerous advantages over regular creatine monohydrate. Faster Absorption . . . AST Micronized Creatine's smaller particle size means quicker digestion and faster utilization. More Efficient . . . 20 times more total surface area for greater uptake into the bloodstream and rapid delivery to muscle tissue. Greater Purity . . . Micronizing creatine produces a more pure creatine. By increasing the total processing steps and purification procedures, AST's Micronized Creatine yields a finished product substantially more pure. Test it. We challenge you. No Stomach Upset . . . Regular creatine monohydrate sits in the gut longer. This causes discomfort to many users. AST's Micronized Creatine leaves the gut quicker causing no stomach upset. Better Results . . . New Micronized Creatine offers 2000% more particle surface area for better utilization, better uptake, and faster results. Drink Plenty of Liquids! Creatine works by enhancing muscle cell hydration. It is very important to consume adequate fluids while taking creatine to see best results. A good rule of thumb is to drink an EXTRA 16 to 20 ounces of liquid for every 5 grams of creatine you take. During your Loading Phase you should be drinking an EXTRA 64 to 80 ounces of liquid than you normally drink. During the maintenance phase you should drink an EXTRA 32 to 40 ounces. This is very important and ensures you get the maximum out of creatine supplementation. More Information The Power of Micronized Creatine in a Convenient, Easy to Swallow Capsule Micronized Creatine is a powerful muscle building supplement. As you know, it's usually taken in powder form mixed into water or a flavored drink but you don't always have time to mix a drink. Even if it takes you just 5 minutes, when you are busy and on the go those 5 minutes may be impossible to spare. And as good and effective as Micronized Creatine is, it will not do you a bit of good if you don't take it. And if you miss a dose every now and then you're zapping Micronized Creatine's ability to fuel muscle growth and strength. How many times have you skipped a scheduled dose of creatine because time just slipped away? Now you have the power of Micronized Creatine in a convenient capsule so you can take them anywhere at any time with no mixing and no mess. Just pop a few capsules and you're good to go. The Micronized Creatine can go to work igniting muscle growth. "AST Sports Science 'Micronized Creatine' Delivers More Creatine to Your Muscles Faster!" New "Micronized" Creatine Capsules . . . With AST's constant commitment to improve the effectiveness of sports supplementation, we have developed a new creatine supplement that incorporates state-of-the-art Particle Micronizing Technology (PMT™) and produced it in a convenient - take anywhere, take anytime capsule. This PMT™ technology sets a new standard for creatine monohydrate supplementation by actually producing creatine 'micro-particles' that are 20 times smaller than regular creatine powder. And putting it in an easy to swallow capsule ensures you can have your muscle-building creatine even at the most inconvenient times. Micronized Creatine Capsules have numerous advantages over regular creatine monohydrate. Faster Absorption . . . AST Micronized Creatine's smaller particle size means quicker digestion and faster utilization. More Efficient . 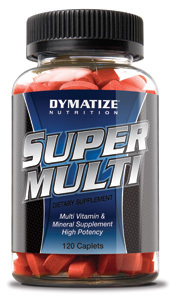 . . 20 times more total surface area for greater uptake into the bloodstream and rapid delivery to muscle tissue. Greater Purity . . . Micronizing creatine produces a more pure creatine. By increasing the total processing steps and purification procedures, AST's Micronized Creatine yields a finished product substantially more pure. Test it. We challenge you. No Stomach Upset . . . Regular creatine monohydrate sits in the gut longer. This causes discomfort to many users. AST's Micronized Creatine leaves the gut quicker causing no stomach upset. Better Results . . . New Micronized Creatine offers 2000% more particle surface area for better utilization, better uptake, and faster results. Drink Plenty of Liquids! Creatine works by enhancing muscle cell hydration. It is very important to consume adequate fluids while taking creatine to see best results. A good rule of thumb is to drink an EXTRA 16 to 20 ounces of liquid for every 5 grams of creatine you take. During your Loading Phase you should be drinking an EXTRA 64 to 80 ounces of liquid than you normally drink. During the maintenance phase you should drink an EXTRA 32 to 40 ounces. This is very important and ensures you get the maximum out of creatine supplementation. More Information The Power of Micronized Creatine in a Convenient, Easy to Swallow Capsule Micronized Creatine is a powerful muscle building supplement. As you know, it's usually taken in powder form mixed into water or a flavored drink but you don't always have time to mix a drink. Even if it takes you just 5 minutes, when you are busy and on the go those 5 minutes may be impossible to spare. And as good and effective as Micronized Creatine is, it will not do you a bit of good if you don't take it. And if you miss a dose every now and then you're zapping Micronized Creatine's ability to fuel muscle growth and strength. How many times have you skipped a scheduled dose of creatine because time just slipped away? Now you have the power of Micronized Creatine in a convenient capsule so you can take them anywhere at any time with no mixing and no mess. Just pop a few capsules and you're good to go. The Micronized Creatine can go to work igniting muscle growth. "AST Sports Science 'Micronized Creatine' Delivers More Creatine to Your Muscles Faster!" New "Micronized" Creatine Capsules . . . With AST's constant commitment to improve the effectiveness of sports supplementation, we have developed a new creatine supplement that incorporates state-of-the-art Particle Micronizing Technology (PMT™) and produced it in a convenient - take anywhere, take anytime capsule. This PMT™ technology sets a new standard for creatine monohydrate supplementation by actually producing creatine 'micro-particles' that are 20 times smaller than regular creatine powder. And putting it in an easy to swallow capsule ensures you can have your muscle-building creatine even at the most inconvenient times. 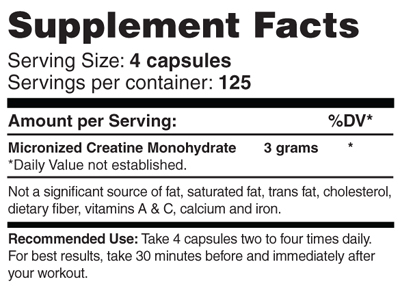 Micronized Creatine Capsules have numerous advantages over regular creatine monohydrate. Faster Absorption . . . AST Micronized Creatine's smaller particle size means quicker digestion and faster utilization. More Efficient . . . 20 times more total surface area for greater uptake into the bloodstream and rapid delivery to muscle tissue. Greater Purity . . . Micronizing creatine produces a more pure creatine. By increasing the total processing steps and purification procedures, AST's Micronized Creatine yields a finished product substantially more pure. Test it. We challenge you. No Stomach Upset . . . Regular creatine monohydrate sits in the gut longer. This causes discomfort to many users. AST's Micronized Creatine leaves the gut quicker causing no stomach upset. Better Results . . . New Micronized Creatine offers 2000% more particle surface area for better utilization, better uptake, and faster results. Drink Plenty of Liquids! 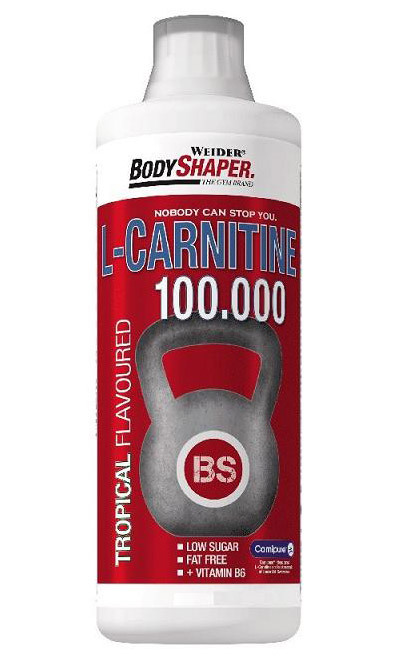 Creatine works by enhancing muscle cell hydration. It is very important to consume adequate fluids while taking creatine to see best results. A good rule of thumb is to drink an EXTRA 16 to 20 ounces of liquid for every 5 grams of creatine you take. During your Loading Phase you should be drinking an EXTRA 64 to 80 ounces of liquid than you normally drink. During the maintenance phase you should drink an EXTRA 32 to 40 ounces. This is very important and ensures you get the maximum out of creatine supplementation. More Information The Power of Micronized Creatine in a Convenient, Easy to Swallow Capsule Micronized Creatine is a powerful muscle building supplement. As you know, it's usually taken in powder form mixed into water or a flavored drink but you don't always have time to mix a drink. Even if it takes you just 5 minutes, when you are busy and on the go those 5 minutes may be impossible to spare. And as good and effective as Micronized Creatine is, it will not do you a bit of good if you don't take it. And if you miss a dose every now and then you're zapping Micronized Creatine's ability to fuel muscle growth and strength. How many times have you skipped a scheduled dose of creatine because time just slipped away? Now you have the power of Micronized Creatine in a convenient capsule so you can take them anywhere at any time with no mixing and no mess. Just pop a few capsules and you're good to go. The Micronized Creatine can go to work igniting muscle growth. "AST Sports Science 'Micronized Creatine' Delivers More Creatine to Your Muscles Faster!" New "Micronized" Creatine Capsules . . . With AST's constant commitment to improve the effectiveness of sports supplementation, we have developed a new creatine supplement that incorporates state-of-the-art Particle Micronizing Technology (PMT™) and produced it in a convenient - take anywhere, take anytime capsule. This PMT™ technology sets a new standard for creatine monohydrate supplementation by actually producing creatine 'micro-particles' that are 20 times smaller than regular creatine powder. And putting it in an easy to swallow capsule ensures you can have your muscle-building creatine even at the most inconvenient times. Micronized Creatine Capsules have numerous advantages over regular creatine monohydrate. Faster Absorption . . . AST Micronized Creatine's smaller particle size means quicker digestion and faster utilization. More Efficient . . . 20 times more total surface area for greater uptake into the bloodstream and rapid delivery to muscle tissue. Greater Purity . . . Micronizing creatine produces a more pure creatine. By increasing the total processing steps and purification procedures, AST's Micronized Creatine yields a finished product substantially more pure. Test it. We challenge you. No Stomach Upset . . . Regular creatine monohydrate sits in the gut longer. This causes discomfort to many users. AST's Micronized Creatine leaves the gut quicker causing no stomach upset. Better Results . . . New Micronized Creatine offers 2000% more particle surface area for better utilization, better uptake, and faster results. Drink Plenty of Liquids! Creatine works by enhancing muscle cell hydration. It is very important to consume adequate fluids while taking creatine to see best results. A good rule of thumb is to drink an EXTRA 16 to 20 ounces of liquid for every 5 grams of creatine you take. During your Loading Phase you should be drinking an EXTRA 64 to 80 ounces of liquid than you normally drink. During the maintenance phase you should drink an EXTRA 32 to 40 ounces. This is very important and ensures you get the maximum out of creatine supplementation. More Information The Power of Micronized Creatine in a Convenient, Easy to Swallow Capsule Micronized Creatine is a powerful muscle building supplement. As you know, it's usually taken in powder form mixed into water or a flavored drink but you don't always have time to mix a drink. Even if it takes you just 5 minutes, when you are busy and on the go those 5 minutes may be impossible to spare. And as good and effective as Micronized Creatine is, it will not do you a bit of good if you don't take it. And if you miss a dose every now and then you're zapping Micronized Creatine's ability to fuel muscle growth and strength. How many times have you skipped a scheduled dose of creatine because time just slipped away? Now you have the power of Micronized Creatine in a convenient capsule so you can take them anywhere at any time with no mixing and no mess. Just pop a few capsules and you're good to go. The Micronized Creatine can go to work igniting muscle growth. "AST Sports Science 'Micronized Creatine' Delivers More Creatine to Your Muscles Faster!" 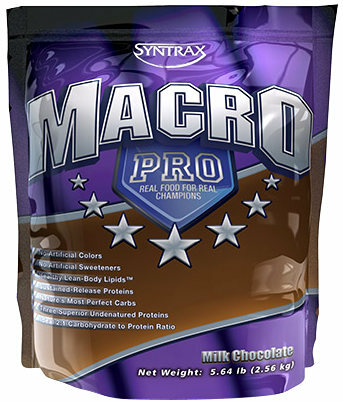 New "Micronized" Creatine Capsules . . . With AST's constant commitment to improve the effectiveness of sports supplementation, we have developed a new creatine supplement that incorporates state-of-the-art Particle Micronizing Technology (PMT™) and produced it in a convenient - take anywhere, take anytime capsule. This PMT™ technology sets a new standard for creatine monohydrate supplementation by actually producing creatine 'micro-particles' that are 20 times smaller than regular creatine powder. And putting it in an easy to swallow capsule ensures you can have your muscle-building creatine even at the most inconvenient times. Micronized Creatine Capsules have numerous advantages over regular creatine monohydrate. Faster Absorption . . . AST Micronized Creatine's smaller particle size means quicker digestion and faster utilization. More Efficient . . . 20 times more total surface area for greater uptake into the bloodstream and rapid delivery to muscle tissue. Greater Purity . . . Micronizing creatine produces a more pure creatine. By increasing the total processing steps and purification procedures, AST's Micronized Creatine yields a finished product substantially more pure. Test it. We challenge you. No Stomach Upset . . . Regular creatine monohydrate sits in the gut longer. This causes discomfort to many users. AST's Micronized Creatine leaves the gut quicker causing no stomach upset. Better Results . . . New Micronized Creatine offers 2000% more particle surface area for better utilization, better uptake, and faster results. Drink Plenty of Liquids! 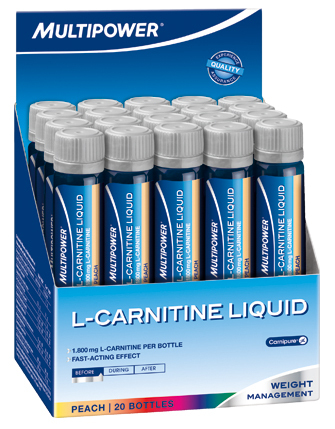 Creatine works by enhancing muscle cell hydration. It is very important to consume adequate fluids while taking creatine to see best results. A good rule of thumb is to drink an EXTRA 16 to 20 ounces of liquid for every 5 grams of creatine you take. During your Loading Phase you should be drinking an EXTRA 64 to 80 ounces of liquid than you normally drink. During the maintenance phase you should drink an EXTRA 32 to 40 ounces. This is very important and ensures you get the maximum out of creatine supplementation. More Information The Power of Micronized Creatine in a Convenient, Easy to Swallow Capsule Micronized Creatine is a powerful muscle building supplement. As you know, it's usually taken in powder form mixed into water or a flavored drink but you don't always have time to mix a drink. Even if it takes you just 5 minutes, when you are busy and on the go those 5 minutes may be impossible to spare. And as good and effective as Micronized Creatine is, it will not do you a bit of good if you don't take it. And if you miss a dose every now and then you're zapping Micronized Creatine's ability to fuel muscle growth and strength. How many times have you skipped a scheduled dose of creatine because time just slipped away? Now you have the power of Micronized Creatine in a convenient capsule so you can take them anywhere at any time with no mixing and no mess. Just pop a few capsules and you're good to go. The Micronized Creatine can go to work igniting muscle growth. "AST Sports Science 'Micronized Creatine' Delivers More Creatine to Your Muscles Faster!" New "Micronized" Creatine Capsules . . . With AST's constant commitment to improve the effectiveness of sports supplementation, we have developed a new creatine supplement that incorporates state-of-the-art Particle Micronizing Technology (PMT™) and produced it in a convenient - take anywhere, take anytime capsule. This PMT™ technology sets a new standard for creatine monohydrate supplementation by actually producing creatine 'micro-particles' that are 20 times smaller than regular creatine powder. And putting it in an easy to swallow capsule ensures you can have your muscle-building creatine even at the most inconvenient times. Micronized Creatine Capsules have numerous advantages over regular creatine monohydrate. Faster Absorption . . . AST Micronized Creatine's smaller particle size means quicker digestion and faster utilization. More Efficient . . . 20 times more total surface area for greater uptake into the bloodstream and rapid delivery to muscle tissue. Greater Purity . . . Micronizing creatine produces a more pure creatine. By increasing the total processing steps and purification procedures, AST's Micronized Creatine yields a finished product substantially more pure. Test it. We challenge you. No Stomach Upset . . . Regular creatine monohydrate sits in the gut longer. This causes discomfort to many users. AST's Micronized Creatine leaves the gut quicker causing no stomach upset. Better Results . . . New Micronized Creatine offers 2000% more particle surface area for better utilization, better uptake, and faster results. Drink Plenty of Liquids! Creatine works by enhancing muscle cell hydration. It is very important to consume adequate fluids while taking creatine to see best results. A good rule of thumb is to drink an EXTRA 16 to 20 ounces of liquid for every 5 grams of creatine you take. During your Loading Phase you should be drinking an EXTRA 64 to 80 ounces of liquid than you normally drink. During the maintenance phase you should drink an EXTRA 32 to 40 ounces. This is very important and ensures you get the maximum out of creatine supplementation.